Home News & Analysis Asia Moody’s And MSCI Hit China, Should Investors Pay More Heed? Moody’s And MSCI Hit China, Should Investors Pay More Heed? 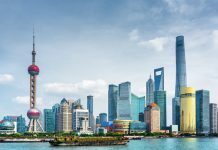 Bond Market Turmoil in China: Short-Term Pain for Long-Term Gain? Notwithstanding The Inverted Yield Curve, Is There Still Value in China’s Bonds? It wouldn’t be wrong to say that May 24 was a double whammy for investors in China. 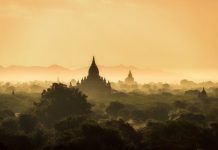 Index provider MSCI expressed concern that the advances made by the local securities regulator were not enough to merit its A-shares being included in the MSCI Emerging Markets (EM) Index. Then, on the same day, Moody’s Investors Service announced a downgrade to China’s sovereign credit rating. Both warnings have left investors concerned. What is critical to monitor going forward with regard to these developments? The firm will announce its decision on including China’s A-shares in its EM Index on June 20. In China, the Shanghai and Shenzhen stock exchanges have two type of shares – A and B. A-shares are equities denominated in the domestic currency and available only to local investors. Meanwhile, B-shares are stocks denominated in foreign currencies. 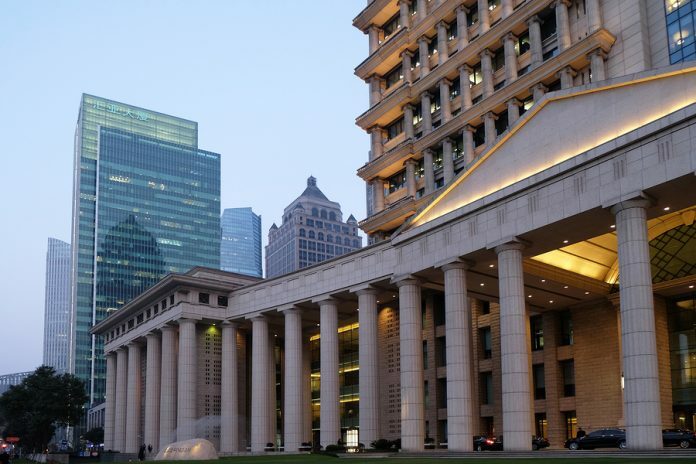 On the Shanghai Stock Exchange, they are denominated in US dollars while on the Shenzhen Stock Exchange, they are denominated in Hong Kong dollars. These securities are available to foreign investors. 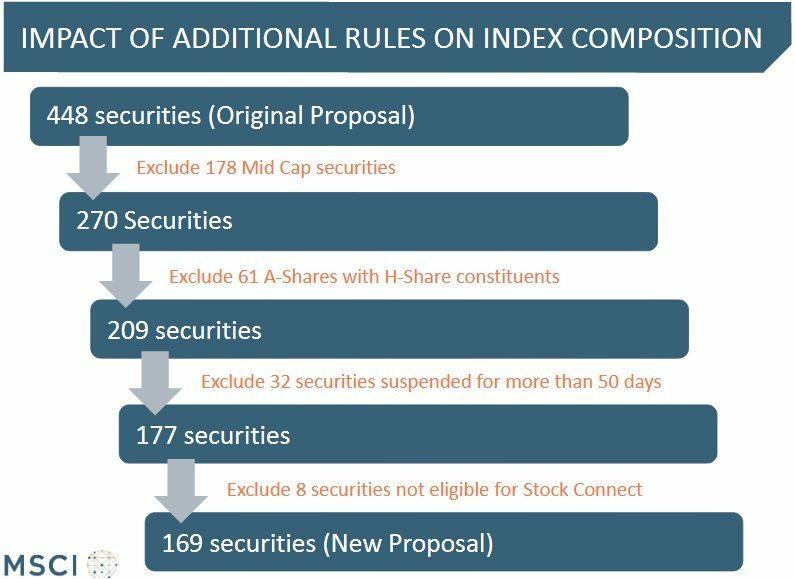 In March, MSCI had sent a consultation document to fund managers proposing the inclusion of 169 China A-shares in its upcoming index review. This number was 62% lower than the originally proposed 448 stocks. The index-creator had highlighted certain issues which were preventing the inclusion of the A-shares, and had also decided to use the offshore yuan instead of the onshore one, for index calculation. 2017 would mark the fourth year in which China is hoping for an inclusion in the EM Index. It has undertaken concrete steps from a regulatory and oversight perspective in that time, but the desired outcome has remained elusive to date. China linked the markets of Hong Kong and Shanghai in 2014 via the Shanghai-Hong Kong Stock Connect program. In 2016, the country launched the Shenzhen Stock Connect program, thus providing access to its second biggest stock market. Given the importance China is placing on getting qualifying its local stocks to foreign institutions, and the desire of investors to have access to those stocks, MSCI’s assessment that the country may not have done enough has been cause for concern amongst investors. US investors can choose from a plethora of ETFs (FXI) (GXC) (ASHR) to invest in Chinese equities. However, when the MSCI chief says that over 100 local stocks are still suspended “which is by far the largest in any emerging market,” and maintains that the market-data issue “is a big one,” investors need to give due weight to his words. As far as the Moody’s downgrade is concerned, let’s assess it in the next article.